1-CD with 32-page booklet, 26 tracks. Playing time approx. 65 mns. Hello Mary Lou, and Today's Teardrops, and some early unreleased demo's with The Embers from 1958. 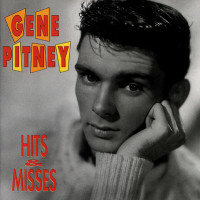 Gene Pitney starb Geboren 1940 in Conneticut USA, war Sänger und Komponist. Er schrieb Hits für Ricky Nelson, Poy obison und Andere, 1961 sein erster eigener Hit. 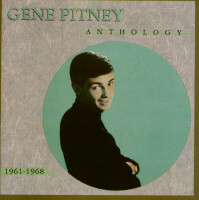 Gene Pitney starb am 05. April 2006. 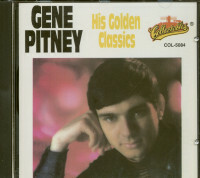 Hier ist eine einzigartige Sammlung, die jeder Gene Pitney Fan haben moechte. Hier sind nicht nur einige seiner groessten Hits wie The Man Who Shot Liberty Valance, 24 Hours From Tulsa , Town Without Pity sondern dieses Set enthaelt auch seine ungemein seltenen fruehen Aufnahmen fuer Decca 1959, darunter seine Jamie & Jane Duette und seine deutsche Version von Town Without Pity aus dem Jahre 1962. Dazu seine eigenen Versionen von Hello Mary Lou , Today's Teardrops sowie fruehe unveroeffentlichte Demos mit den Embers aus 1958. 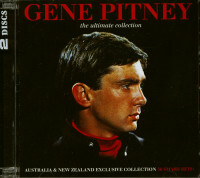 Here's a unique collection that every Gene Pitney fan will want. 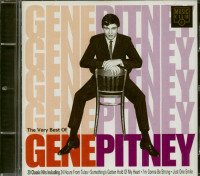 Not only are some of Gene's greatest hits here, such as The Man Who Shot Liberty Vallance, 24 Hours From Tulsa, Town Without Pity but this set also includes his ultra-rare early recordings for Decca in 1959, including his Jamie & Jane duets, as well as his German language recording of Town Without Pity from 1962, plus his own renditions of Hello Mary Lou, and Today's Teardrops, and some early unreleased demo's with The Embers from 1958. Customer evaluation for "Hits & Misses"